One of the health issues pregnant women should be concerned about is a higher risk of periodontal (gum) disease. But you don’t have to be pregnant to have an increased risk — you also may be more susceptible to dental disease if you’re taking certain birth control pills. Gum disease is a bacterial infection caused by plaque, food debris that builds up on tooth and gum surfaces due to poor oral hygiene. If left untreated gum disease can eventually lead to the breakdown of connective gum tissue and cause tooth loss. Pregnant women are at greater risk because of an increased level of female hormones (estrogen) in their blood stream. This causes a change in the blood vessels that supply the gums, making them more susceptible to the effects of bacteria. 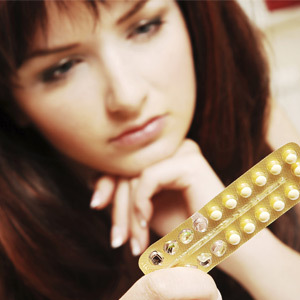 A number of birth control options also increase estrogen levels, causing much of the same effect. To heighten the effect, you may also have a predisposition toward gum disease by your genetics or a high stress level. There are some things you can do, however, to help lower your risk if you’re taking birth control medication. First and foremost, practice a consistent, daily habit of brushing and flossing. If you’re unsure if your technique is effective, we can provide guidance and training to make sure you’re performing these tasks properly. You should also visit us at least twice a year for office cleanings and checkups: no matter how effective you are with brushing and flossing, plaque can still accumulate in hard to reach places and form hardened deposits known as calculus. You should also be on the lookout for signs of disease like gum redness, swelling or bleeding. If you see any of these signs, contact us as soon as possible for a thorough examination. As with many other issues involving health, the sooner we begin treatment for gum disease the better your chances of stopping it before it does too much harm.